Draft: 2006, Minnesota Twins, 1st rd. Christopher Matthew Parmelee was originally signed by Twins scout John Leavitt…wife's name is Amanda…has a son, Jack…is a 2006 graduate of Chino Hills (CA) High School…named an AFLAC All-American and All-State his senior season…was rated as the second best high school pure hitter in the nation by Baseball America in 2006…won the Diamond Skills Award in 1998, allowing him to shag balls at the home run derby during the 1998 All-Star Game at Coors Field. Spent most of the season at Triple-A Scranton/Wilkes-Barre although he did have a six-game stint with the New York Yankees in June…was selected from Triple-A on June 4 and went 4-for-8 (.500) with a double, two home runs and four RBI before going on the disabled list June 10 with a strained right hamstring…missed 55 games while on the DL…played first base in all six of his games but did not bat in his first four…made two starts on June 8 and 9 against Los Angeles (AL)…had his third career two-homer game on the 8th, going 3-for-5 with a double and three RBI…according to the Elias Sports Bureau, he became just the second Yankee in franchise history with a mulit-homer game in his first start with the club, joining Roger Maris on April 19, 1960 at Boston…then went 1-for-3 with a RBI on the 9th…was assigned to Scranton/Wilkes-Barre on a rehab assignment Aug. 6 and was reinstated from the DL and outrighted to Triple-A Aug. 13…hit .248 with 11 home runs and 29 RBI in 64 games with the RailRiders…batted .264 (14-for-53) against left-handed pitchers compared to .242 (39-for-161) against right-handers…had a .292 batting average at home, .204 on the road…hit .357 in the eighth inning or later…batted .320 with a .404 on-base percentage and .600 slugging percentage when leading off an inning…slugged six home runs in 21 day games, five in 43 contests at night…had a .154 batting average with runners in scoring position and two outs…appeared in 48 games at first base and two in left field… had three errors as a first baseman for a .992 fielding percentage…also hit .222 with two home runs and five RBI in 13 games as the designated hitter…hit in each of the bottom six spots in the order, including 21 games batting clean-up and 19 in the six spot…batted .179 with no home runs and one RBI over his first 12 games through April 22…then hit .284 with seven home runs and 20 RBI over his next 28 games from April 23 to May 30…was 3-for-4 April 25 against Lehigh Valley, his first of three three-hit games…the other two came in back-to-back games against Lehigh Valley May 7 and 8…went 2-for-5 with two home runs and five RBI May 19 at Louisville…the first home run was a grand slam in the first inning…hit safely in a season-high seven consecutive games from May 21 to 30 (8-for-26, .308)…was batting .252 with seven home runs and 21 RBI in 43 games when he was selected by the Yankees June 4…returned to Scranton/Wilkes-Barre on a rehab assignment Aug. 6 and went 4-for-14 (.286) with a home run and RBI in five games before he was reinstated from the Major League DL and outrighted to the RailRiders Aug. 14…went 1-for-11 (.091) in five games before going on the Triple-A DL with back spasms…was reinstated Aug. 25 and hit 263 with three home runs and six RBI over his final 11 regular season games…homered in back-to-back contests on Sept. 1 at Buffalo and Sept. 2 against Buffalo… went 5-for-25 (.200) with five walks and three RBI in seven postseason games for the International League Champion RailRiders…then hit a three-run home run in the first inning of a 3-1 win over El Paso in the Triple-A Championship Game on Sept. 20 in Memphis…was named MVP of the game. Made the Twins Opening Day roster for second time in career and was the Opening Day right fielder April 1 vs. Detroit...Homered in back-to-back games May 1 and 3 at Cleveland, marking the third time in his career doing so...Recorded first career two-homer game June 22 at Cleveland, both solo shots, one in the eighth inning, the other in the ninth...Optioned to Triple-A Rochester July 14...Hit .231 (40-for-173) in 45 games for the Red Wings and was recalled September 9...Played 18 games for the Twins in September...Recorded six outfield assists, tied for second most on the club. Made Twins Opening Day roster for first time in career and was in Opening Day lineup, batting eighth at first base, going 1-for-4 April 6at Baltimore. ... Went just 2-for-34 (.059) in 12 games April 30-May 15 and was optioned to Triple-A Rochester May 15. ... Batted .375 (18-for-48) with four doubles, four home runs, 12 RBI, 13 runs scored and 12 walks in 15 games for Red Wings before beingrecalled by Twins June 8. ... Hit first major league home run of season June 30 vs. Kansas City. ... Optioned to Triple-A Rochester July 5...recalled by Twins July 21 when Justin Morneau was placed on paternity list...optioned back to RochesterJuly 23 when Morneau returned. ... Hit safely in 15 straight games July 18-August 5, batting .439 (29-for-66), including two multi-homer games during streak. ... Named International League Batter of the Week July 30-August 5, batting .517 (15-for-29) with three doubles, five home runs, nine RBI,and eight runs scored in six games for Red Wings. ... Hit 11 home runs in a 17-game span July 26-August 12. ... Earned Topps Player of the Month honor for August after hitting .323 (32-for-99) with eight doubles, eight home runs, 20 RBI, 20 runsscored, and 23 walks in 28 games. ... Recalled by Twins August 29. ... Hit safely in career-high eight straight games August 29-September 5, including three home runs during the streak and career-high fourRBI September 4 at Chicago-AL. ... Missed three games September 21-23 to attend the birth of first child, Jack Jeffrey, September 20. ... Ranked fourth in entire Twins organization in home runs (22) and fifth in walks (64). Started the season with Double-A New Britain, batting .287 (152-for-530) with 13 home runs and 30 doubles in 142 games with the Rock Cats...Named Twins Minor League Player of the Week, May 8-14...batted .414 (12-for-29) with two doubles, five rbi five runs scored and two walks in seven games...Named Twins Minor League Player of the Month for July after batting .305 (36-for-118) with eight doubles, six home runs, 26 rbi, 17 runs scored and 20 walks in 32 games...Recalled by Minnesota, September 6...made Major League debut, going 2-for-4, with a single off of Jake Peavy for his first career hit, September 6th vs. Chicago (AL)...batted fifth and started at first base...Recorded his first Major League extra-base hit (a double off John Danks in the third inning) and multi-rbi game, September 7 vs. Chicago (AL)...Hit his first career home run, a two-run shot off Josh Judy, September 17 vs. Cleveland...also marked his first career three-hit game...Season-high six game hit-streak, batting .520 (13-for-25) with five multi-hit games in that span...Batted .392 (20-for-51) with five doubles, four home runs, 11 rbi, eight walks and eight runs scored in his final 13 games, September 17-28...recorded multiple hits in eight of those 13...Played 20 games at first base for the Twins and batted in the fourth spot in the lineup for 13 games...hit safely in 16 of 21 games played...His .355 batting average in September was the fourth-highest among all rookies in baseball...his 14 rbi were tied for third-most and his four home runs were tied for fourth-most...His .355 September average ranked as the fifth-best among rookies in Twins history during September...he was one of 11 rookies in club history to hit four-or-more homers in the month...his 27 hits were tied for eighth-most among Twins rookies...Led the entire Twins organization in hits (179), rbi (97), walks (80), total bases (276), at-bats (606) and games (163) and was tied for first in doubles (36)...among Twins minor leaguers, he ranked first in rbi (83), second in hits (152), third in walks (68), fourth in runs (76) and seventh in doubles (30)...Named Best Defensive First Baseman in the Eastern League by Baseball America...also ranked ninth-best prospect in the Twins' organization by same publication, entering the 2012 season...Named as the first baseman on the Minor League Baseball website's 2011 Twins organizational All-Star team. Was invited to Twins Spring Training...assigned to minor league camp, March 21, and began the season at Double-A New Britain...Homered in his second game, April 10 vs. New Hampshire...hit second home run, April 12 vs. Portland...Batted .186 (19-for-102) in 28 games for the Rock Cats before being transferred to Single-A Ft. Myers, May 17...Batted .338 (27-for-80), hitting safely in 17 of 22 games played for the Miracle...promoted to New Britain, June 10...Named Twins Minor League Player of the Week, July 16, after batting .444 with one double, two rbi, three runs scored, four walks and a.545 on-base percentage in five games...Hit safely in 11 straight games, batting .475 (19-for-40) with seven, July 23-August 3...Batted .343 (37-for-108) with nine doubles, two home runs, 13 rbi and 11 runs scored in 29 July games...batted .303 (30-for-99) with sevendoubles, one triple, 11 rbi and 15 runs scored in 28 August games...batted .316 (59-for-187) Post-All-Star break...Participated in the Arizona Fall League with the Peoria Saguaros...batted .339 (37-for-109) with 11 doubles, two triples, 13 rbi, 16 runsscored and 12 walks in 29 games...his 11 doubles were tied for league-lead...hit .387 (29-for-75) off right-handed pitching in the AFL. Spent entire season at Single-A Ft. Myers...homered in his first game, April 9 vs. Charlotte...homered in three straight games, June9-11...named Florida State League Player of the Week, June 22-28 after batting .500 (9-for-18) with one home run and nine RBI...selected toplay in the Florida State League All-Star Game...was the Florida State League home run derby winner...recorded five consecutive two-hit games, August 4-11...named to the Florida State League Postseason All-Star team...was ranked the 17th-best prospect in the Florida State League byBaseball America...hit 14 of his 16 home runs off right-handed pitching...led all Twins Minor Leaguers in walks (65) and strikeouts (109), wassecond in rbi (73) and third in home runs. Spent entire season at Single-A Beloit...homered in three consecutive games, April 5-7...batted .429 (6-for-14) with five runs scored, 10 RBI and three doubles to earn Twins' Minor League Player of the Week, April 19-26...went 3-for-4 with two home runs and four RBI, June 5 at Kane County...hit six home runs in 20 June games...disabled for the remainder of the season with a left hand fracture, June 26...led the Miracle in home runs (14) and RBI (49) and tied for most walks (52) in the Twins system...ranked as the best power-hitting prospect in the Twins organization by Baseball America, entering the 2009 season. Spent entire season at Single-A Beloit...homered in his second game of the season, April 9 at Kane County...went 4-for-6 with two homeruns, six rbi and two runs scored, June 15 at Quad Cities...batted .385 (5-for-13), with one triple, one home run and three rbi as Twins' MinorLeague Player of the Week, June 22-28...drove in four runs and hit his 14th home run of season, August 16 vs. Burlington...led the Snappers indoubles, home runs and rbi. Started his professional career with the GCL Twins and played in 45 games...homered in his first professional game, June 29 at GCLPirates...transferred to Beloit, August 20...finished third in the GCL in home runs and slugging, fourth in rbi and fifth in extra-base hits (19)...was ranked the second-best prospect in the GCL by Baseball America...was ranked the fourth-best prospect in the Twins organization by BaseballAmerica, entering the 2007 season...ranked as the best hitter for average in the Twins organization by Baseball America, entering the 2007 season. April 17, 2019 Tulsa Drillers placed 1B Chris Parmelee on the 7-day injured list. April 2, 2019 1B Chris Parmelee assigned to Tulsa Drillers. March 16, 2019 1B Chris Parmelee assigned to Los Angeles Dodgers. November 6, 2017 1B Chris Parmelee elected free agency. September 5, 2017 New Orleans Baby Cakes activated 1B Chris Parmelee from the 7-day disabled list. August 13, 2017 New Orleans Baby Cakes placed 1B Chris Parmelee on the 7-day disabled list. July 26, 2017 Miami Marlins signed free agent 1B Chris Parmelee to a minor league contract. July 26, 2017 1B Chris Parmelee assigned to New Orleans Baby Cakes. June 13, 2017 Nashville Sounds released 1B Chris Parmelee. June 6, 2017 Nashville Sounds placed 1B Chris Parmelee on the 7-day disabled list retroactive to June 4, 2017. March 8, 2017 1B Chris Parmelee assigned to Baltimore Orioles. March 8, 2017 1B Chris Parmelee roster status changed by Baltimore Orioles. November 19, 2016 Oakland Athletics signed free agent 1B Chris Parmelee to a minor league contract. November 19, 2016 1B Chris Parmelee assigned to Nashville Sounds. October 5, 2016 1B Chris Parmelee elected free agency. August 25, 2016 Scranton/Wilkes-Barre RailRiders activated 1B Chris Parmelee from the 7-day disabled list. August 18, 2016 Scranton/Wilkes-Barre RailRiders placed 1B Chris Parmelee on the 7-day disabled list. August 13, 2016 New York Yankees sent 1B Chris Parmelee outright to Scranton/Wilkes-Barre RailRiders. August 13, 2016 New York Yankees activated 1B Chris Parmelee from the 15-day disabled list. August 6, 2016 New York Yankees sent 1B Chris Parmelee on a rehab assignment to Scranton/Wilkes-Barre RailRiders. June 4, 2016 New York Yankees selected the contract of 1B Chris Parmelee from Scranton/Wilkes-Barre RailRiders. April 4, 2016 1B Chris Parmelee assigned to Scranton/Wilkes-Barre RailRiders. February 23, 2016 New York Yankees signed free agent 1B Chris Parmelee to a minor league contract and invited him to spring training. October 8, 2015 1B Chris Parmelee elected free agency. September 23, 2015 Norfolk Tides activated 1B Chris Parmelee from the 7-day disabled list. August 8, 2015 Baltimore Orioles sent 1B Chris Parmelee outright to Norfolk Tides. July 31, 2015 Baltimore Orioles designated 1B Chris Parmelee for assignment. June 16, 2015 Baltimore Orioles selected the contract of 1B Chris Parmelee from Norfolk Tides. June 15, 2015 Norfolk Tides placed RF Chris Parmelee on the reserve list. February 8, 2015 RF Chris Parmelee assigned to Norfolk Tides. January 27, 2015 Baltimore Orioles signed free agent RF Chris Parmelee to a minor league contract and invited him to spring training. 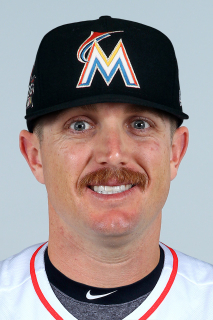 December 24, 2014 RF Chris Parmelee elected free agency. December 23, 2014 Minnesota Twins sent RF Chris Parmelee outright to Rochester Red Wings. December 13, 2014 Minnesota Twins designated RF Chris Parmelee for assignment. October 24, 2014 OF Chris Parmelee assigned to Tigres del Licey. May 9, 2014 Minnesota Twins selected the contract of RF Chris Parmelee from Rochester Red Wings. March 27, 2014 Minnesota Twins sent RF Chris Parmelee outright to Rochester Red Wings. September 9, 2013 Minnesota Twins recalled RF Chris Parmelee from Rochester Red Wings. July 15, 2013 Minnesota Twins optioned Chris Parmelee to Rochester Red Wings. August 29, 2012 Minnesota Twins recalled Chris Parmelee from Rochester Red Wings. July 24, 2012 Minnesota Twins optioned Chris Parmelee to Rochester Red Wings. July 21, 2012 Minnesota Twins recalled Chris Parmelee from Rochester Red Wings. July 6, 2012 Minnesota Twins optioned Chris Parmelee to Rochester Red Wings. June 8, 2012 Minnesota Twins recalled Chris Parmelee from Rochester Red Wings. May 16, 2012 Minnesota Twins optioned Chris Parmelee to Rochester Red Wings. September 6, 2011 Minnesota Twins recalled Chris Parmelee from New Britain Rock Cats. March 14, 2011 Minnesota Twins optioned Chris Parmelee to New Britain Rock Cats. November 19, 2010 Minnesota Twins selected the contract of Chris Parmelee from New Britain Rock Cats. August 31, 2010 Chris Parmelee assigned to Peoria Saguaros. June 10, 2010 Chris Parmelee assigned to New Britain Rock Cats from Fort Myers Miracle. May 17, 2010 Chris Parmelee assigned to Fort Myers Miracle from New Britain Rock Cats. April 6, 2010 Chris Parmelee assigned to New Britain Rock Cats from Fort Myers Miracle. January 8, 2010 Minnesota Twins invited non-roster 1B Chris Parmelee to spring training. April 9, 2009 Chris Parmelee assigned to Fort Myers Miracle.